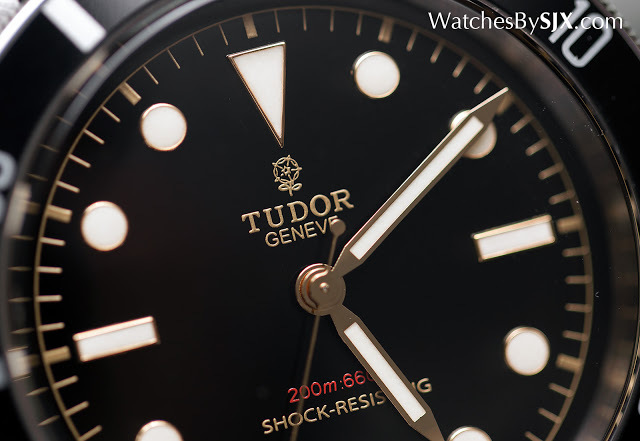 With a deceptively modest estimate of under US$5000, the Tudor Heritage Black Bay One will soon become the priciest contemporary Tudor wristwatch ever when it's sold for charity at Only Watch 2015. Here's a look at the watch itself. 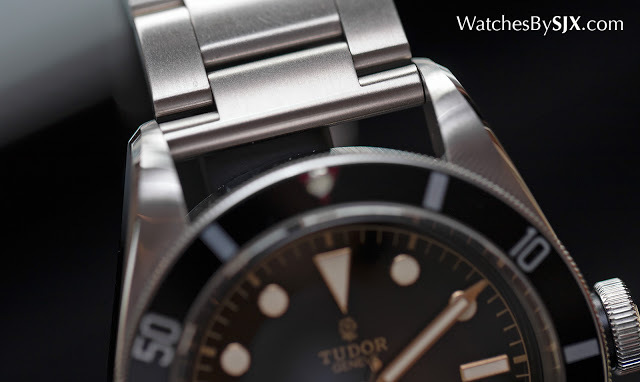 Only a few days ago Tudor unveiled the Heritage Black Bay Black, a dive watch that’s closest to the vintage Submariners that inspired it. 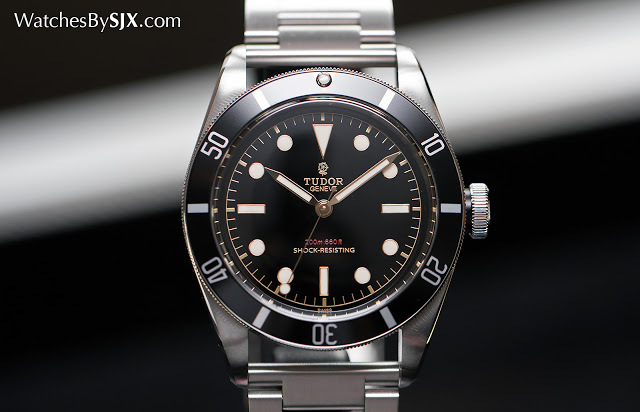 But the one of a kind Heritage Black Bay One is even better. Modelled on the Submariner reference 7923 of 1954, the Black Bay One (reference 7923/001) is a unique piece created for charity auction Only Watch, with tweaks that will make it the most expensive modern day Tudor timepiece ever once it goes under the hammer on November 7. 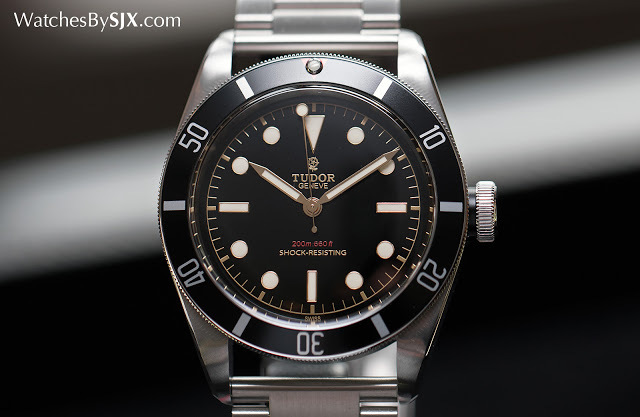 Tudor has had a good run with its vintage-inspired Black Bay dive watches, now numbering three models including the original in red, as well as the Black Bay Blue. 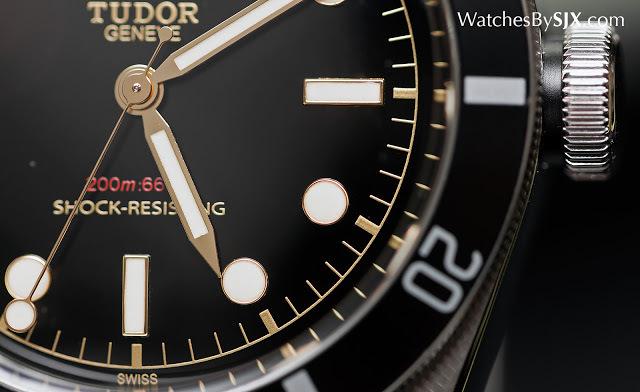 They combine affordability with an easily digestible look that’s a blend of elements from vintage Tudor Submariners. 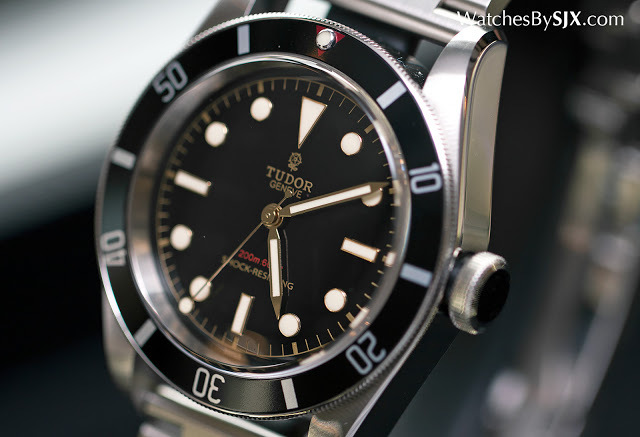 The Black Bay One was conceived with the very same formula, but using elements found on no other Tudor watch. 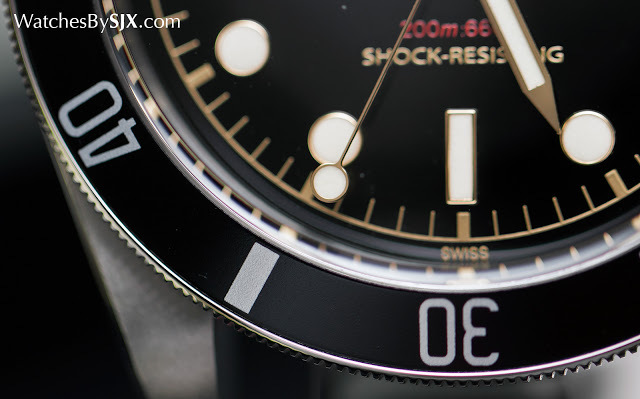 The dial is the most obvious difference. It has a glossy finish, instead of the matte surface on the ordinary model. 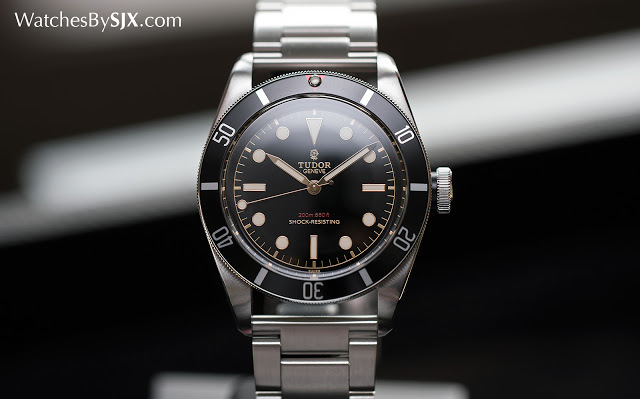 And the depth rating is in red – the only Tudor with this – and something reminiscent of vintage Rolex dive watches. 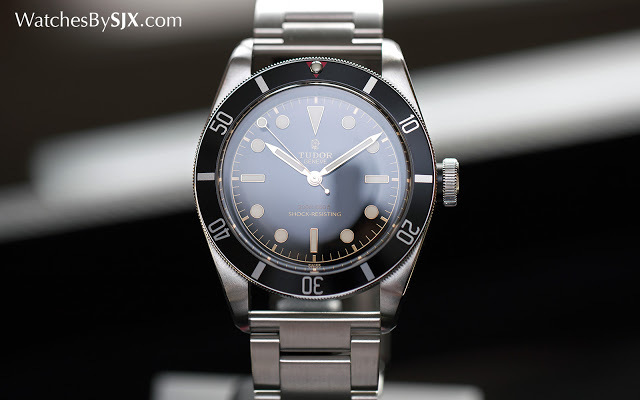 Like the vintage reference 7923, the Black Bay One has pencil-shaped hands, along with a seconds hand that features a disc at its tip, nicknamed the “lollipop” seconds. All the hands are gold-plated to match the gilt dial, with the lettering, logo and minute track printed in gold paint. 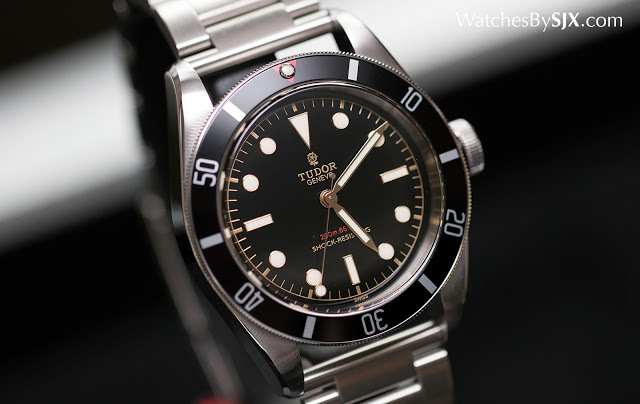 The aluminium bezel insert is black with a red triangle at 12 o’clock, featuring only five minute markings, lacking the hashmarks for the first 15-minutes that’s standard on modern Tudor dive watches. And the final unique feature is straight end links of the bracelet. This is also found on the Heritage Ranger, but unique amongst dive watches. 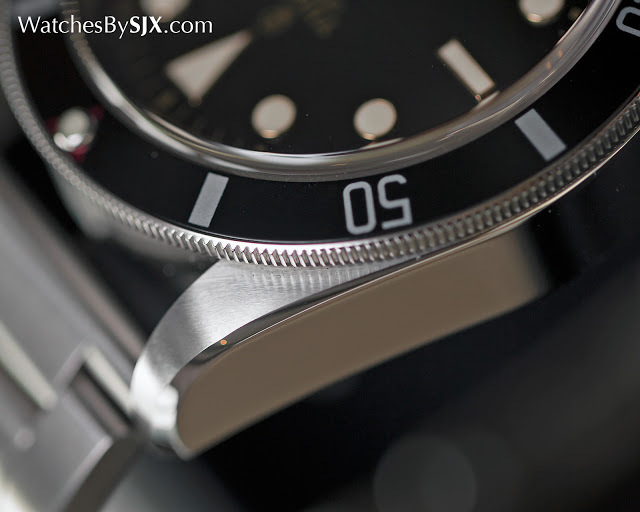 What the Black Bay One does share with the standard Black Bay is the stainless steel case. It’s 41mm in diameter, with a beautiful, broad polished bevel along the edge of the lug. 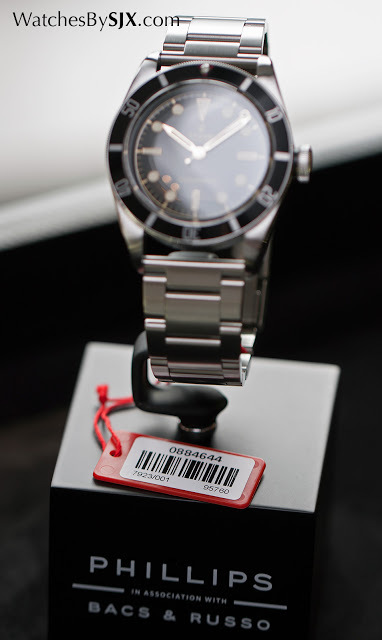 Inside is the ETA 2824, also standard on all Black Bay models. Sold with a custom made wooden presentation box as well as spare NATO-style canvas strap woven in an old school manner, the Black Bay One is lot 30 in Only Watch 2015 (e-catalogue here), set to go under the hammer on November 7 in Geneva. It carries an estimate of SFr3500 to Sfr4500, which will likely be exceeded five to ten fold.